A tornado is one of the most difficult natural disasters to handle. There is little to no warning of when they will drop down and destroy everything in their path. Storm damage from a tornado is never easy as it leaves wind damage, water damage, and personal tragedy. Tornados can leave minor structure damage, to complete collapse due to wind damage. Knowing how to take action after this type of storm damage is important in preventing loss of personal property and lives. Here are some steps to take in the aftermath of a tornado. Staying calm is the most important thing you can do after a tornado. Once the skies have cleared, your next step is to survey the storm damage left behind. However, before that, you’ll want to ensure your safety and that of others with you. Be sure to look for any fallen power lines or weakened trees. If you are near any of these types of things, move far away from them. If you are inside your home or a building, you will need to look for cracked ceilings and damaged walls. Again, move away from any cracks or damages within a home or building. After you and your loved ones are safe, you will want to asses the storm damage to your property. However, before you start assessing, you will need to make sure an emergency professional has given you the all clear and stated your property is safe. If there is any structural damage, a threat of collapse, hanging wire, or fire, do not go into your property. Once you have gotten the all clear, you will want to shut off the electricity to your home through the electric panel and shut off any gas valves. It is also a good idea to wear safety clothing, such as goggles, gloves, rubber boots, and a long sleeve shirt. You will first want to pick up any important documents and medication. After you have picked up a little, you will want to take pictures of any storm damage. You will want to take pictures of any damage that was caused by the tornado, such as roof damage, structural damage, and standing water. These pictures will help with the insurance claim you will have to file. Once you have assessed all the storm damage, you will have to call the professionals to help with clean up. Professional storm restoration ensures that the work is done correctly and efficiently. 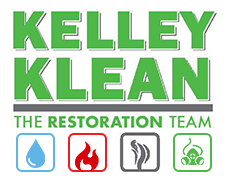 If you are in the Columbia area, then call Kelley Klean. We have 24/7 restoration service so we can come out immediately to fix your storm damage. Call us today at 573.535.6719 to have your storm damage cleaned up.